A beautiful and magical platforming world is now on its way to Nintendo Switch! 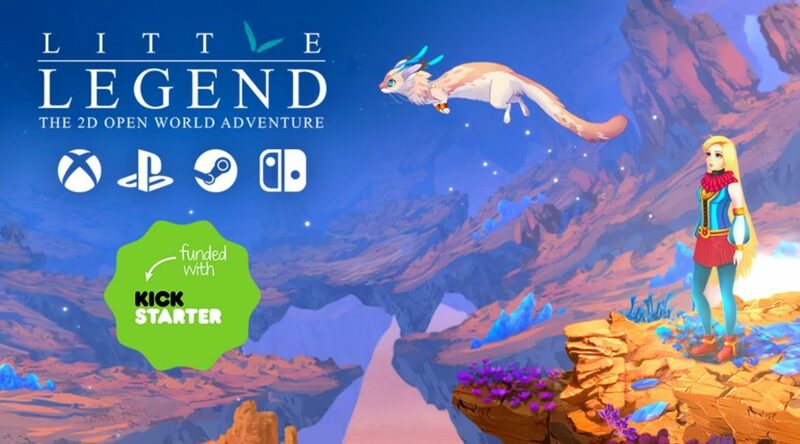 The Kickstarter Campaign for Nevermind’s Little Legend recently closed with a successful funding goal of over $35,000. This means that the game will be heading to Nintendo Switch as intended, sometime in 2020. Little Legend features an wide-ranging magic system – where players have to use innovative tricks to overcome obstacles. Additionally, the protagonist Pimpim can craft new spells from basic materials lying around her. Check out the Kickstarter trailer below. You can also head over to the Kickstarter Campaign over here for full details on Little Legend’s gameplay and story. Create your own magic abilities & companions. Explore a 2D dreamlike open world. Discover a character-driven story with relevant narrative choices. Craft and sell items in your own shop. Fly and talk with creatures as a magic weasel.